Hi everyone! I feel like I never wear pink polish. I have no idea why though. 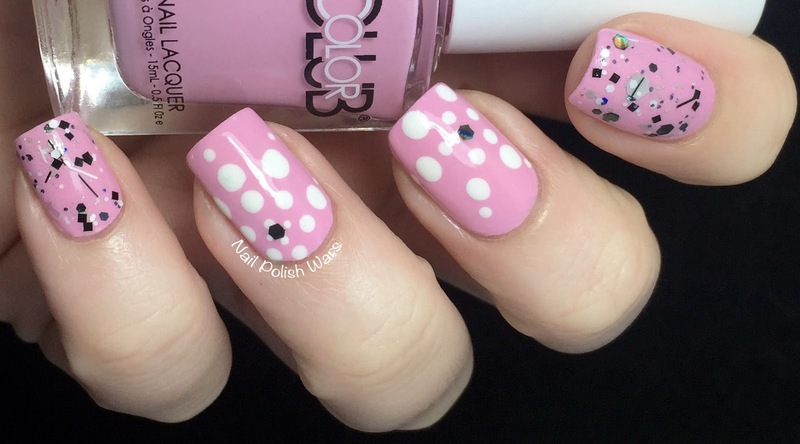 So here's a little something pink for today! I started off with two coats of Color Club Je T'aime, followed by one coat of SV. For a little glitz, I added one coat of Cirque Colors One More Time on my index and pinky fingers, followed by one coat of SV. 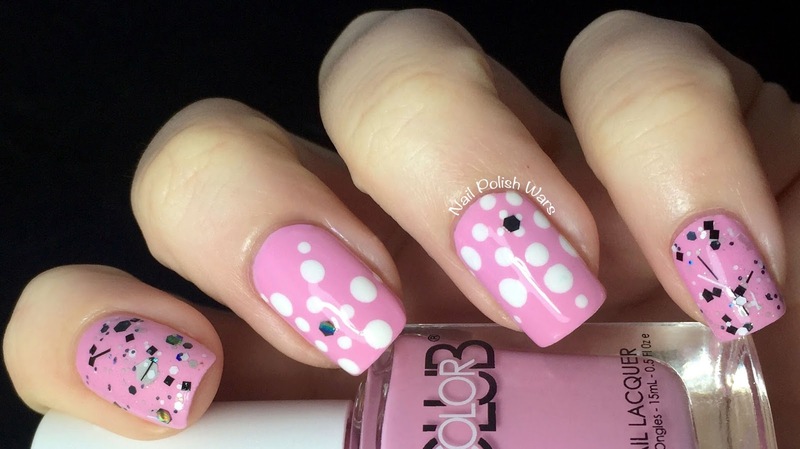 I paired my dotting tools with Cirque Colors Carpe Diem and added a hex from One More Time to the center. I finished with one coat of SV. I really like the end result. 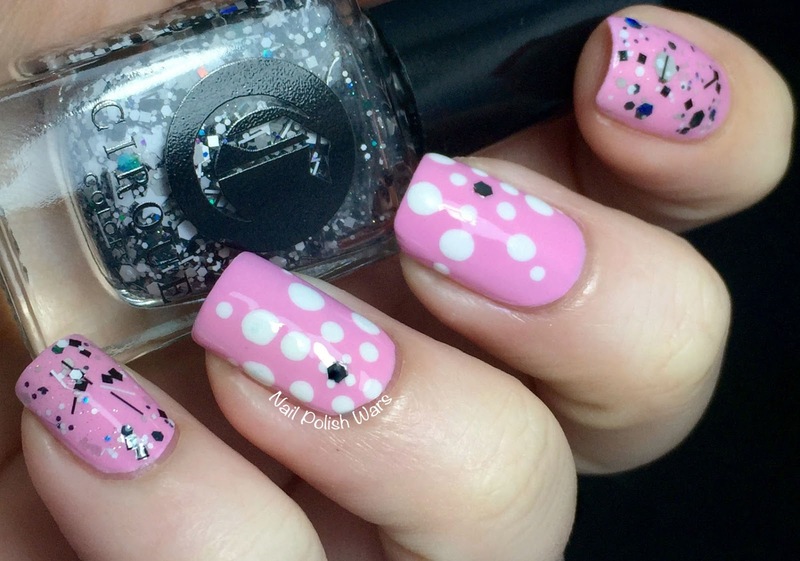 It's girly, but the glitters give it a bit of an edge too! Very cute! 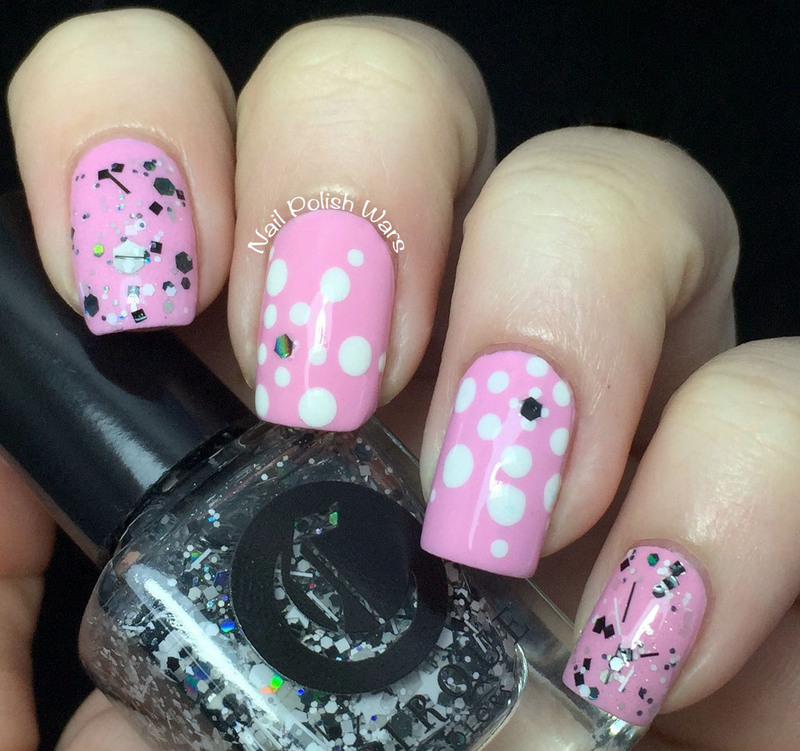 Love that black and white glitter over the pink. I really like the black on the pink!